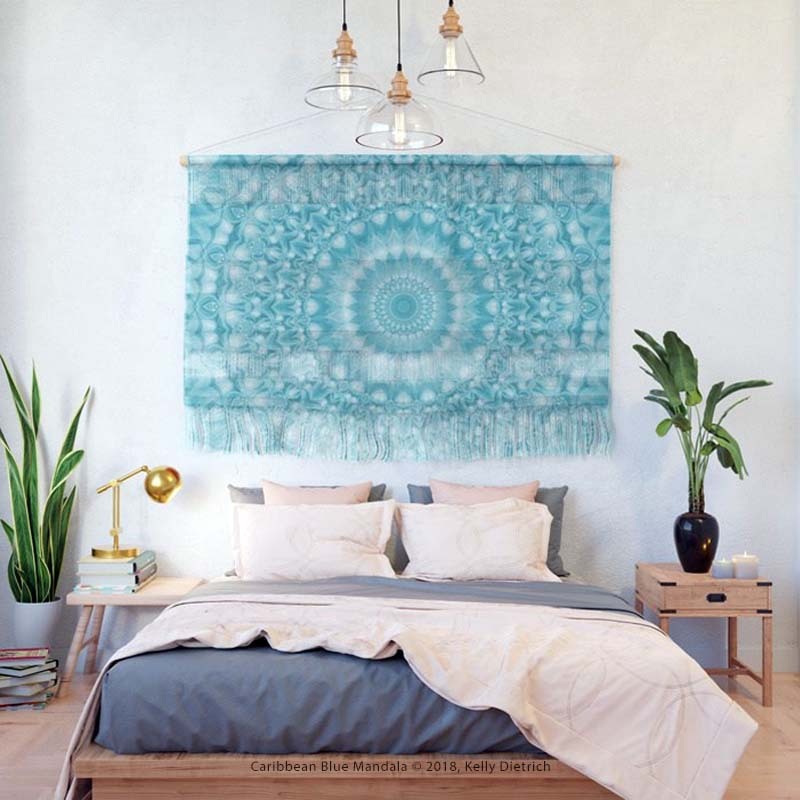 In the new work spotlight this week: Caribbean Blue Mandala. My latest mandala is shown above as one of the new, ultra cool wall hangings which are crafted from yarns in varying patterns and textures. Available at Society6. 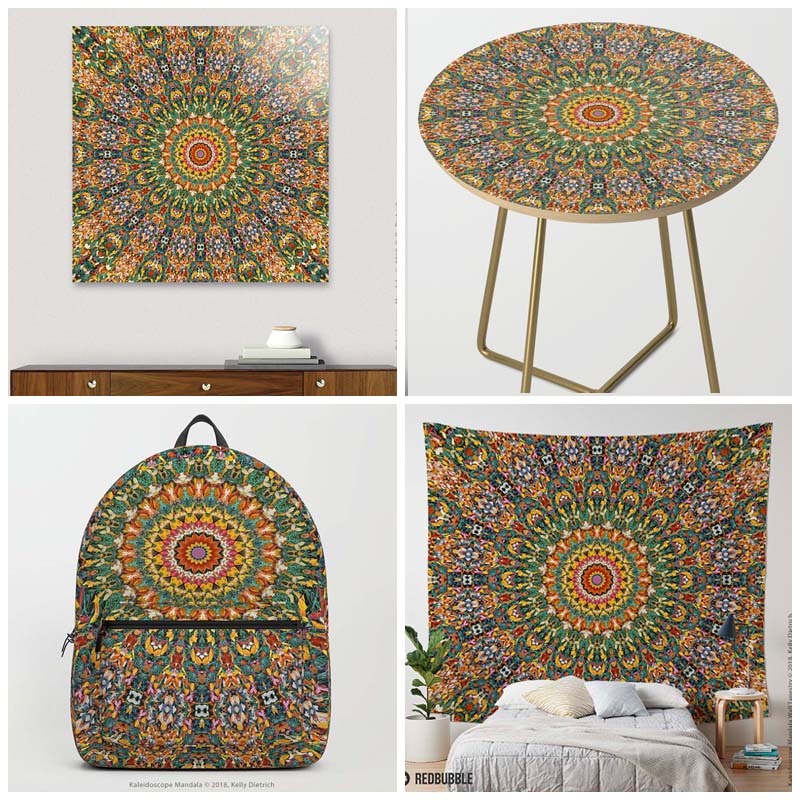 Below, see this design in some of the products I offer through my Curioos shop. 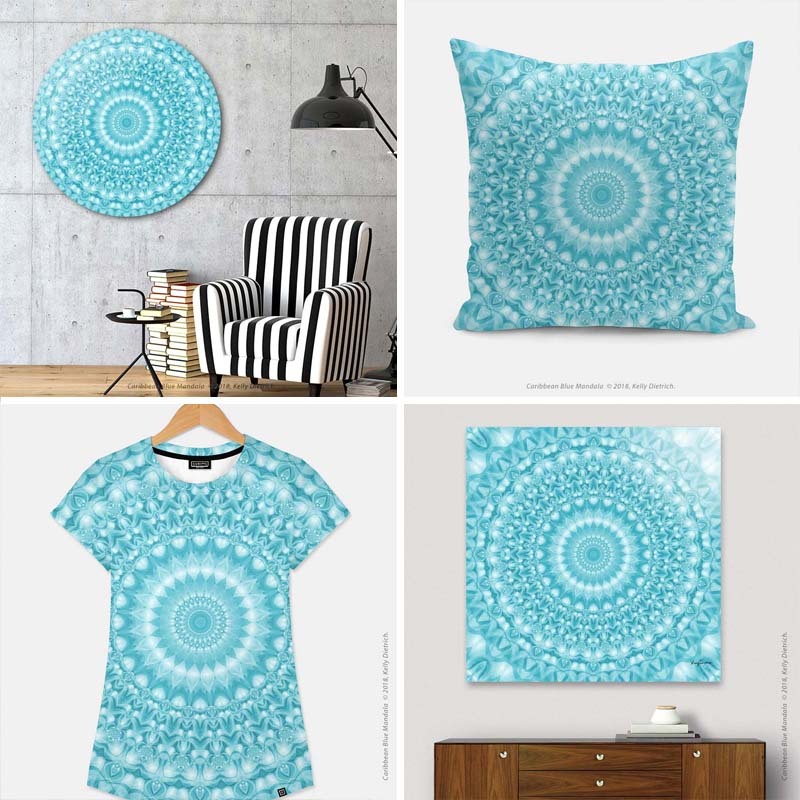 From top left (clockwise): Round aluminum disk print, 20"x20" throw pillow, square aluminum print, and ladies all-over print t-shirt.